After two of our plugins reaching 10K+ active installs on the .org platform this year (2019), we are very happy to announce our third plugin touching this milestone of 10K Active Installs. 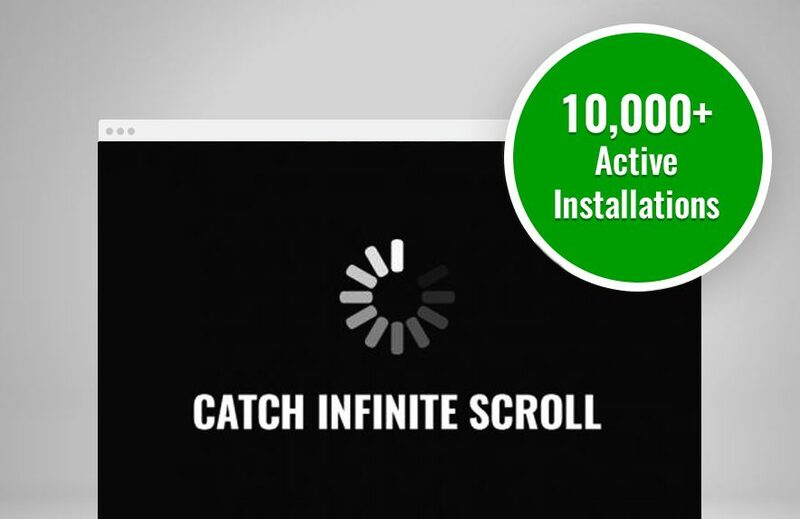 Our Catch Infinite Scroll plugin has crossed 10K Active Installs on WordPress.org. Click here to know more about the Catch Infinite Scroll plugin. It is our seventh free plugin to hit the milestone of crossing 10K active installs on WordPress.org platform. To Top, Catch IDs, Essential Content Types, Catch Web Tools, Essential Widgets, and Catch Instagram Feed Gallery & Widget are our other six free WordPress plugins to have crossed 10K Active Installs. We cannot thank you guys enough for all the love and support. Your growing love for us only motivates us to craft more products for you. Know more about this milestone in our Catch Plugins’ Blog. Previous Previous post: Job Vacancies at Catch Themes. We Are Hiring!